The Westwood High School’s Marine and Oceanographic Academy (MOA) of the St. Lucie County School District is a high school program which targets a diverse population of students from all neighborhoods in the county. This academy, located on the campus of Florida Atlantic University’s world renowned Harbor Branch Oceanographic Institution, is a district wide attractor program available to students from any zone. 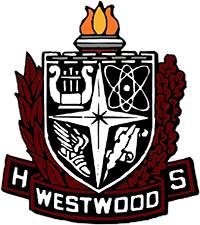 Eligibility for Westwood (MOA) includes demonstrated proficiency of level 3 or above in FCAT math and reading assessments (or the equivalent for students without FCAT scores), strong teacher recommendation, and excellent discipline and attendance records. 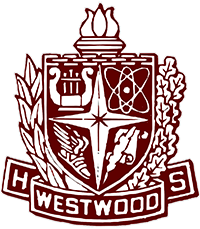 A specifically selected teaching team working with a full time site administrator has been dedicated by St. Lucie County and Fort Pierce Westwood High School to the students and specific curriculum that makes Westwood (MOA) unique. Integration of core curriculum to focus on marine and oceanographic studies is the feature that identifies Westwood (MOA) as an exceptional program. Each subject has been selected for its appropriateness to this integration while never compromising the need to provide each student with the background necessary for comfortable transition to the most challenging college or university programs of higher studies. Engaging, hands-on field and laboratory studies are conducted by the MOA staff in conjunction with FAU/Harbor Branch scientists who teach students for 20% of their science classes. All classes are taught at the highest level available including Advanced Placement and on campus Dual Enrollment. Westwood (MOA) recognizes the need that some students have for a more traditional or extended high school experience. As such, a variety of electives may be taken during one period on the Fort Pierce Westwood main campus to meet student needs. MOA students are fully eligible to take advantage of all extracurricular involvement in athletic teams, music, after school clubs, or other high school programs and events. For more information please email Matthew Roy, MOA Assistant Principal or call 772-468-5025. For application information, please contact Student Assignment.